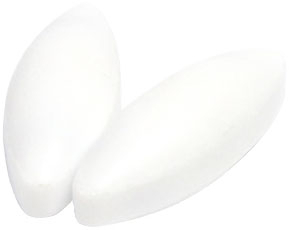 Egg shaped magnetic stirring bars are particularly well suited for round bottom flasks. Their shape mimics that of a flask and ensures complete mixing. They also offer minimal contact when used in plastic containers. Recommended for our 2L, 5L and 10L short path distillation systems.